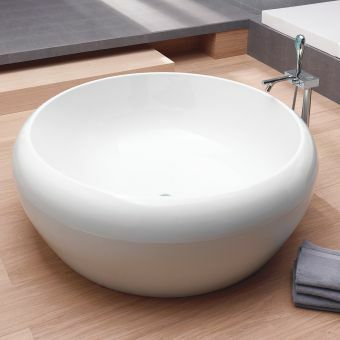 Specifications for Burlington Buckingham Slipper Bath. 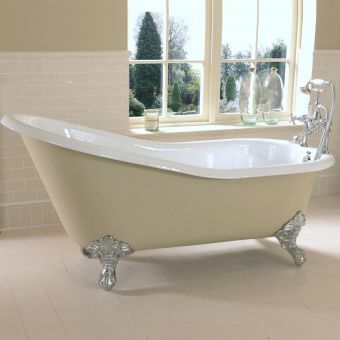 Size: 1500(w) X 750(d)mm (excluding feet). 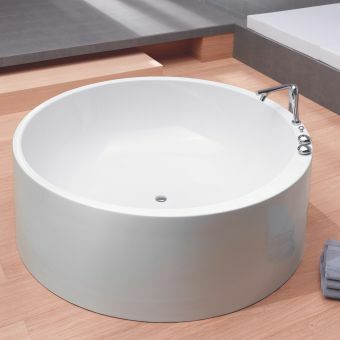 Legs available in 3 distinctive styles and 3 colours, white, chrome or black. 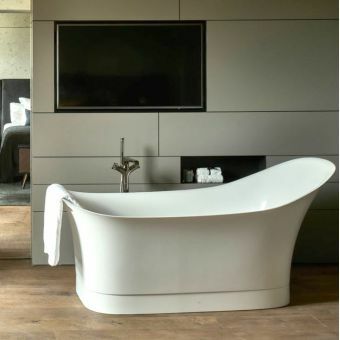 Made from double sided acrylic over 10mm thick. 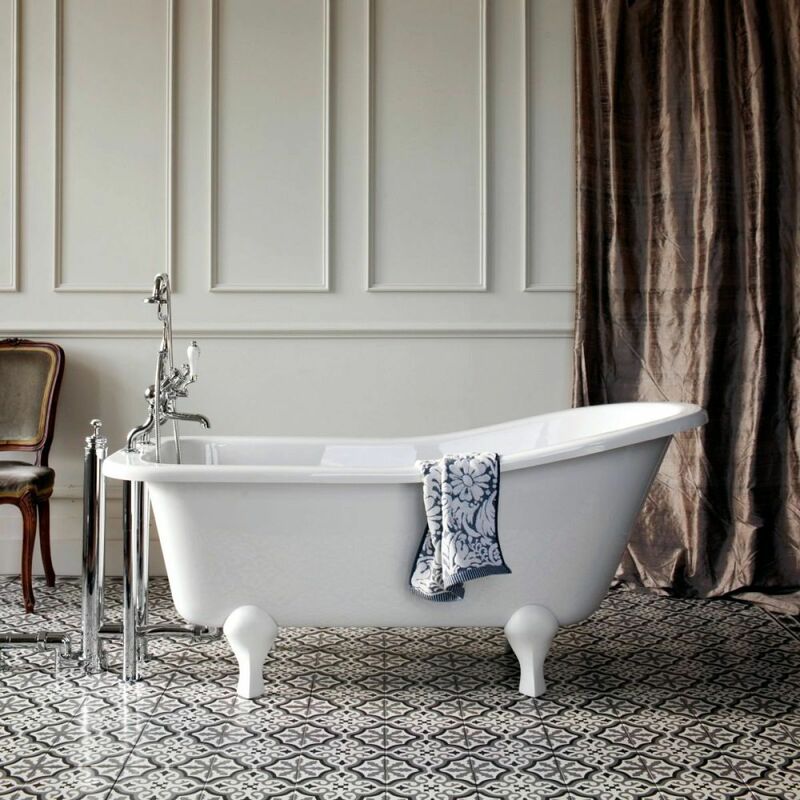 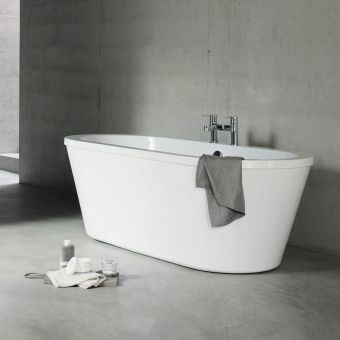 All baths have adjustable legs so you can level your bath on an uneven floor and concealed fixings so that you can fix the legs to the floor for complete stability. 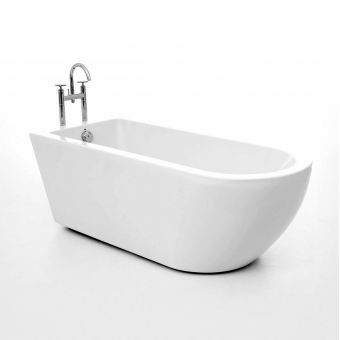 This freestanding slipper bath has been designed for deck mounted (Fitter to drill bath on site) or floor standing taps. Period style products will always be a popular option for many bathroom buyers and Burlington offers a unique opportunity to meet demands for these timeless designs. 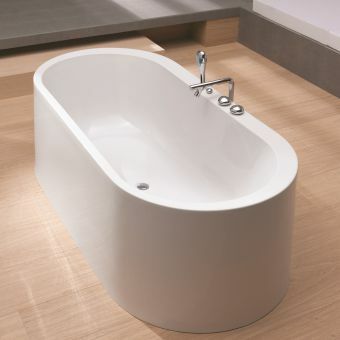 This bath has excellent shoulder room and superb depth for a really comfortable soak.